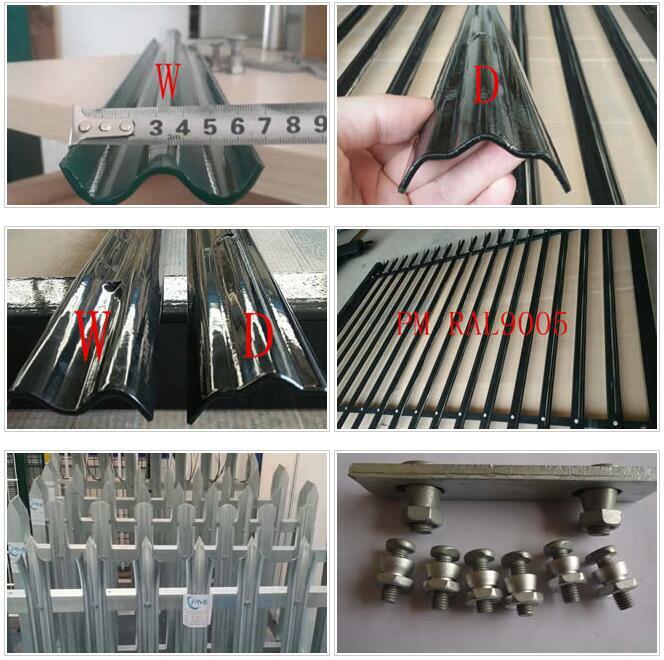 Material: Super quality steel plate.Processing: Punched into different models. 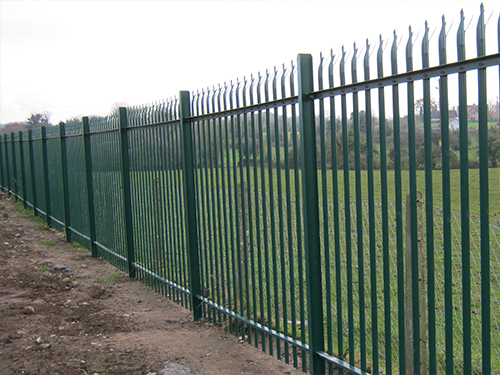 Surface treatment can be hot dipped zinc plating, plastic spray coating and plastic coating.Uses: Palisade Fencing is used in fencing, decoration and security facilities for industries, agriculture, city construction and transport. 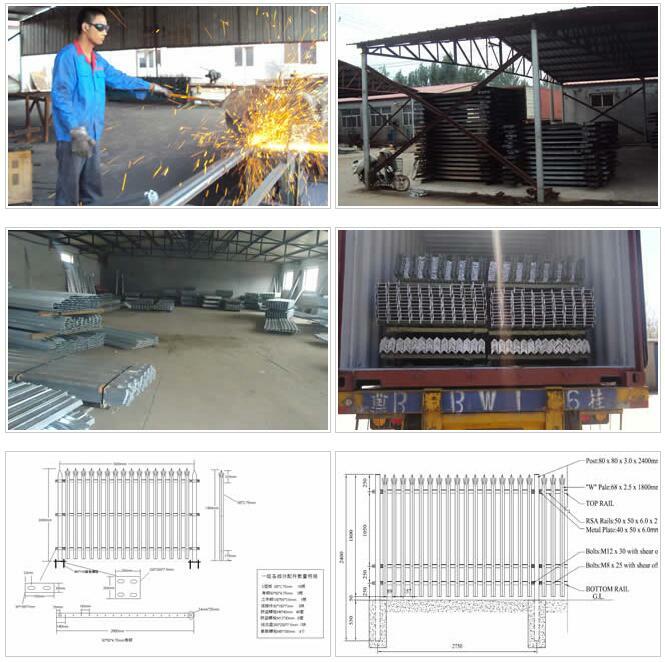 Material: Super quality steel plate. 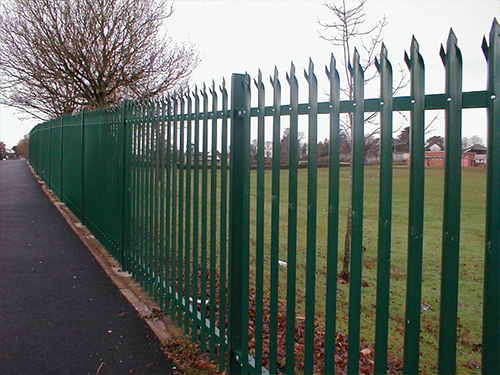 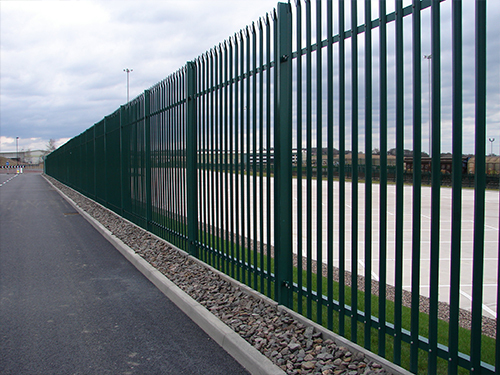 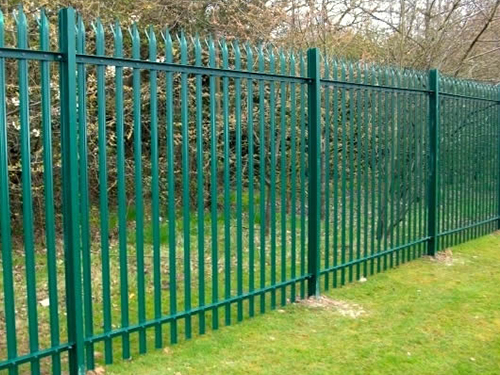 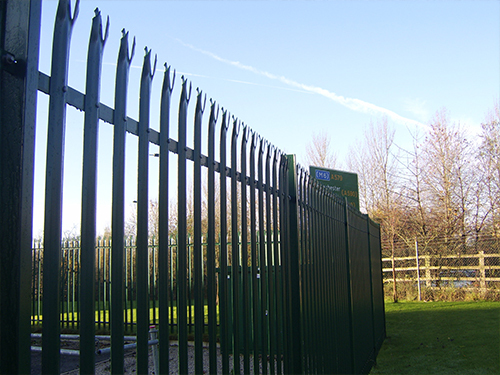 Uses: Palisade Fencing is used in fencing, decoration and security facilities for industries, agriculture, city construction and transport.